Going on a helicopter tour for the first time is exciting, to say the least. Remember the adrenaline rush you felt when you first glanced through an airplane window as it took off. Multiply that by ten and you get the fun factor of a typical helicopter tour of NYC. Being a first-time flyer, it’s normal to have questions. At New York Helicopter we highly encourage inquisitiveness. So, you can contact us directly and hit us with the silliest of questions. 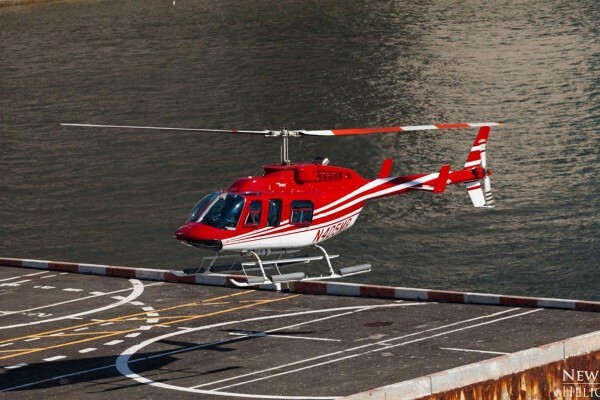 Before you dial our number check out the answers to these 7 questions people usually have before going on New York helicopter tours. When Is the Best Time Go on a Helicopter Tour of NYC? While the tours operate all year round, sudden bad weather can cause cancellations and delays. You also want to go on helicopter tours when the sky is clear with no chance of rain. 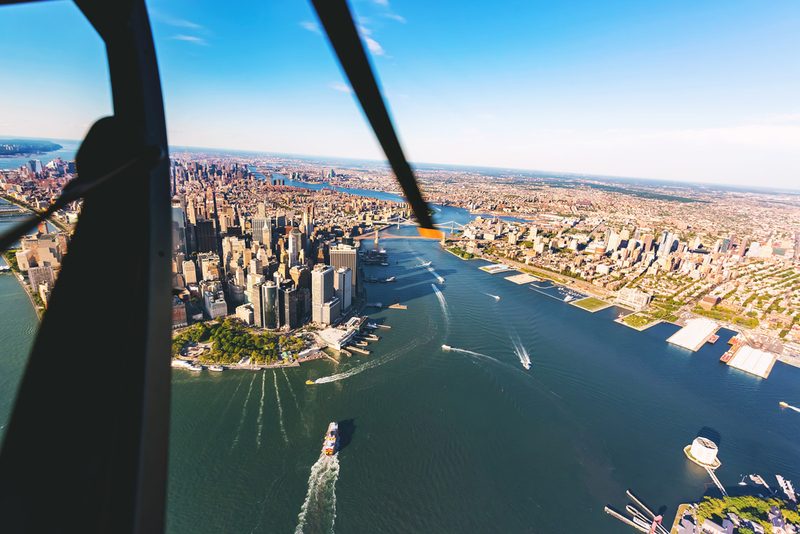 The summer (June to August) and spring (March to May) months in New York are the best times to book a helicopter tour. 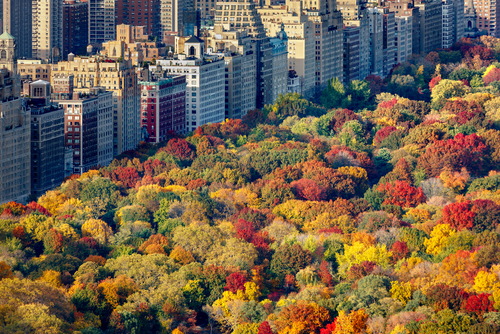 New York also witnesses a splendid fall season (September to November) when the trees turn orange and red. This again is a great season for helicopter tours. Can Helicopter Tours Get Cancelled Due to Bad Weather? Yes, they can. We take bad weather very seriously in order to safeguard the lives of passengers and pilots. Severe fog, heavy rain, or weather conditions that compromise visibility can lead to tour cancellations. We welcome children to be a part of our tours. A child younger than 24 months can be brought along as a lap baby at no extra cost. Full-fare seats need to be reserved for children older than 24 months. Can I Cancel the Tour at Any Time and Get a Refund? 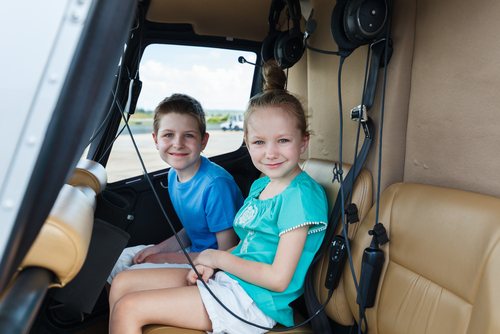 To get a refund or reschedule a flight, passengers need to inform 48 hours prior to the helicopter tour timing. Passengers who do not show up for their trips without notification will not get an option to reschedule or a refund. Manhattan and the Statue of Liberty look imposing from the sky. We not only allow you to bring along a camera, but we actually encourage it. Even a short 15-minute helicopter tour of NYC provides amazing photo opportunities. Are There Any Dressing Guidelines? While there is no strict dressing guideline, it makes good sense to wear comfortable and secure shoes. It’s also a good idea to wear dark clothes to minimize reflection when taking a photo. What Are the Types of Helicopters Used for Touring? At New York Helicopter, we currently have a fleet of Bell Helicopter 206 B III Jet Ranger and Bell 206L IV Long Ranger aircrafts. Both these models are known to be highly reliable. They also offer enough space to ensure the tour is comfortable for all passengers. The 206 B III Jet Ranger can take 4 passengers while the Bell 206L IV Long Ranger can accommodate 6 passengers.